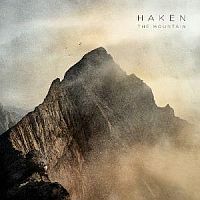 Haken are a band that I still seem to struggle to enjoy. Their music is sometimes brilliant but for me can also be a little irritating. Opener “The Path" is one such, clearly a doorway to the rest of the album, beautifully brooding and yet seeming to go on too long, despite its brevity. “Atlas Stone" then fires along and is a real pleasure until I suddenly remember what, from the two times I have seen them live, really did for me. There’s a real jazzed up off beat section that is as prog as prog gets and it’s just a little too out of place. The song feels like they have run out of ideas as to how to develop it, throw in something quirky and then return to a slightly more upbeat of what they were doing before. I like my progressive music to progress, not lurch. This song then does really progress well from there. I’d like a bigger presence from the vocals but as a whole it does start to go somewhere all the more interesting. You may have noted that I have only really described an intro and one proper song. It’s that sort of music. This sprawling tapestry is what is getting the bands accolades especially when they are able to transfer these skills to the live stage.